My plan was actually to finish the �vegetable garden sequence� with an article regarding the importance of crop rotation. However, I think we all need a little break from all these vegetables, so let us return to that later. Instead, let us have a look at some foliage plants for all year colour. Cordylines are particularly popular, and come in a range of colours and patterns. They are easy to grow, drought tolerant and grow best in a well drained organically rich soil. These plants like a protected, partially shaded spot as the colours can sometimes fade a little when exposed to the full sun. 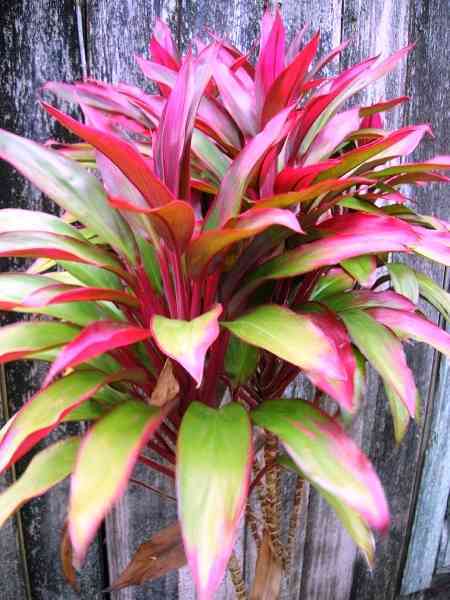 Crotons, Codiaeum spp. are lovers of the warmer climates. They like full sun for the best colour, but they do grow in dappled shade and need a good, rich, well drained soil. These plants are often dismissed as old fashioned, because they are sometimes found in old and neglected gardens and this attests to their hardiness. Calatheas are a diverse group of plants emanating from regions as far flung as Mexico to northern Argentina and are made up of evergreen, tuberous or rhizome rooted perennials. They often have bold and strikingly marked elliptical foliage. Moses in a cradle is one that suffers from an identity crisis because it was always known botanically as Rhoeo discolor, then Rhoeo spathacea, now Tradescantia spathacea. It is a short stemmed clumping perennial from southern Mexico, Guatemala and Belize and has rosettes of broadly speared leaves that are dark green and purple underneath. This is a really hardy plant that grows in full sun or part shade and its only demand is that it has a well drained soil. For some reason it has earned a reputation as being a bit on the weedy side but I am not aware of any gardeners who have experienced any difficulty in this regard. But, having said that, it is worth keeping an eye on it to see that it never gets out of hand. 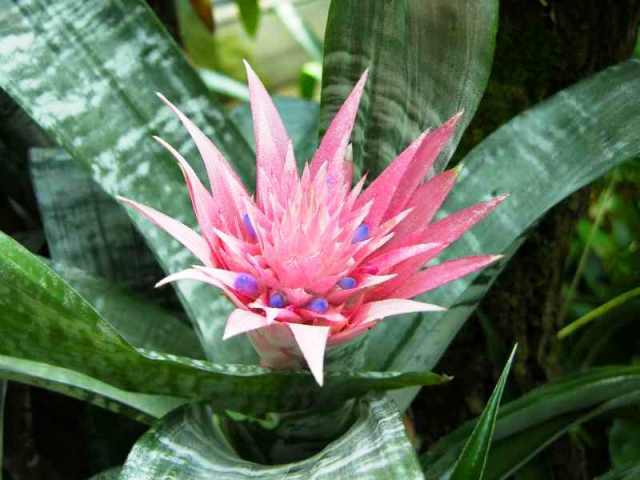 Bromeliads thrive in the warmer temperatures with warmth, humidity and good light levels bringing out their best foliage colours. To get the very best out of them they do have to have a well drained soil. Elephant ears, Alocasias and Colocasias make a great showing as a backdrop or a center of interest in any garden. 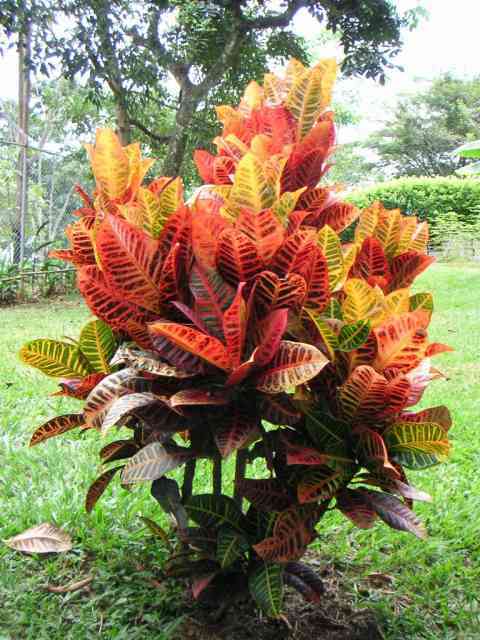 Originating in tropical and sub-tropical areas, they love sunshine, heat, and high humidity. They are easy to grow and will grow in sun or shade, depending on species. As a wetland plant in the wild, elephant ear plants crave water. This makes them a good choice for wet areas where homeowners usually have trouble finding suitable plants. 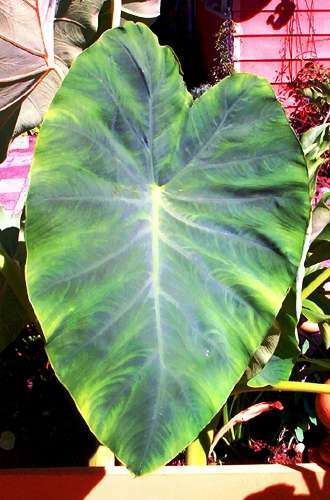 Their thirst for water makes elephant ears effective not only in soggy areas of the landscape, but also near water features. There are lots of different ways in which foliage plants can be used in the garden. More often than not they are simply dotted around to give splashes of colour amongst the green foliage, or to create a focal point, but in the case of the old rhoeo they are now being extensively used by landscapers as a massed planting. There is a relatively new, smaller growing, pink coloured variety that looks great when used in this manner. Plants such as the calatheas can be used to brighten up an otherwise dark, shaded, understorey garden. These plants are all low maintenance, requiring only a little looking after. All will respond to spring and autumn applications of a good, complete, organic fertilizer. The taller growers such as the cordylines, pleomele and crotons will all be the better for a moderately hard prune when they get a bit on the leggy side, and to bring out the colour in the foliage, an application of some extra sulphate of potash at the same time as the general fertilizing will be worthwhile. Keep the soil around them well mulched with a good, organic mulch and they will provide all year round colour with a minimum of effort on your part.